ADD A LITTLE FIZZ TO YOUR EVENT! 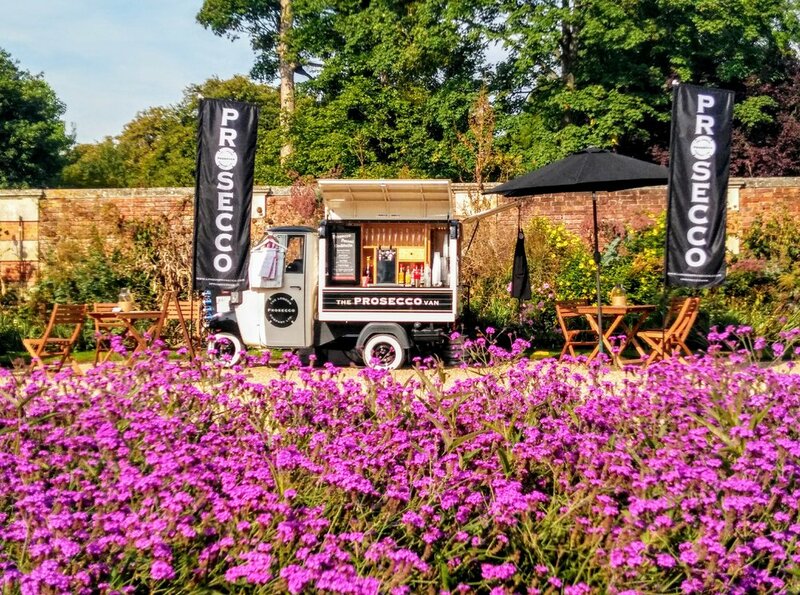 ADD SOME SPARKLE WITH OUR PROSECCO VAN! The award-winning London Prosecco Company can provide a unique pop-up bar for any occasion. Converted with added sparkle, our custom-built prosecco van is thoughtfully designed and branded so we can blend into any theme or event. With refrigerated pumps, we can pour clean, crisp and ice cold sparkling Frizzante straight into your glass. We also stock elegant bottles of Prosecco straight from our on-board wine cooler. Book us for festivals, weddings, birthdays, corporate events, parties or anything or anywhere out of the ordinary, we can help create lasting memories. Our VIP Fizz Crew can provide VIP bars for your events. Tailored to your requirements, we can serve an array of drinks and cocktails depending on the occasion. Our team are experts at event management and will not only provide the drinks but can ensure your event runs smoothly. Come and share a glass of beautifully chilled Prosecco with us! Check out what events we will be at soon! The London Prosecco Company can provide a unique pop-up bar for any occasion. Converted with added sparkle, our custom-built prosecco van is thoughtfully designed and branded so we can blend into any theme or event. With refrigerated pumps, we can pour clean, crisp and ice cold sparkling Frizzante from Northern Italy straight into your glass. We also stock elegant bottles of Prosecco straight from our on-board wine cooler. We are very excited to welcome our latest addition to the family, a beautifully restored vintage horse box. Our Prosecco is 100% Glera grape from the Veneto region of Northern Italy. Its characteristics of delicate fizz create a clean and crisp bouquet. We also serve Frizzante and Frizzente Rosato. We think our prosecco is delicious on its own, but is also fantastic in cocktails. You can experiment with different flavours and colours to make some delicious drinks. 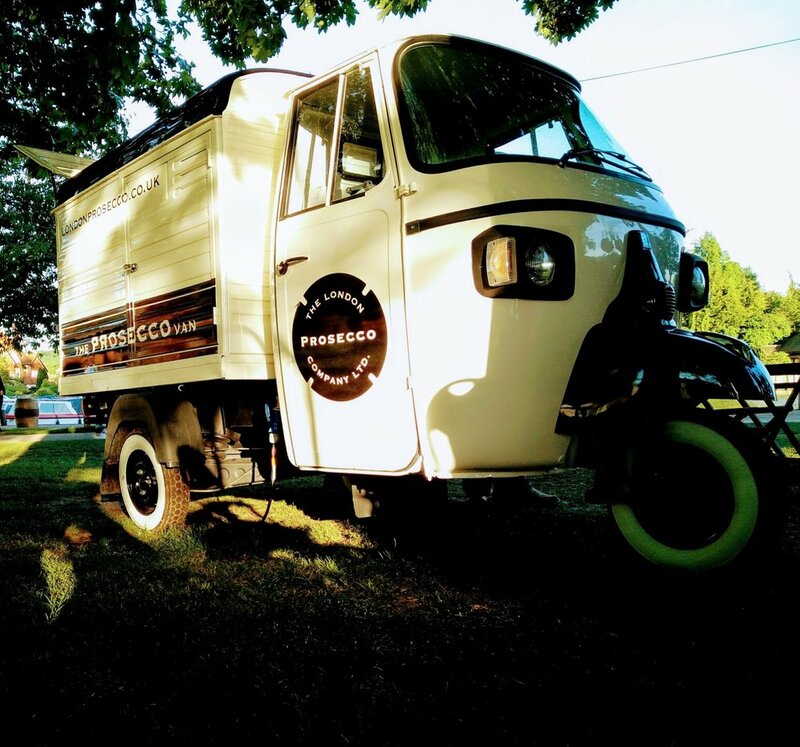 Imported from Italy, our three wheeled Piaggio Classic van has been carefully and beautifully converted into a stunning mobile Prosecco van. General Enquiries ‐ Call our sales team on 020 3940 1105 or email sales@londonprosecco.co.uk • • The London Prosecco Company Ltd. Company Registration - 10367516. • VAT Registration - 255 8457 70 • • The London Prosecco Company supports drinkaware.co.uk and encourages responsible drinking. Copyright © London Prosecco Company 2018. All Rights Reserved.